Last week we told you about a new series we would be running here on iJailbreak.com called Old Is Gold. In the Old Is Gold series we will be covering some of the best Cydia tweaks that have been around with us since the beginnings of Jailbreaking, and of course some newer Cydia tweaks as well that are worth bringing to light. The reason we are starting this series is to bring to peoples attention great Cydia tweaks that are not as widely talked about anymore due to their age. As it is without a doubt that with thousands of Cydia tweaks already developed and more being added everyday it is easy to forget about some of the classic Cydia tweaks! 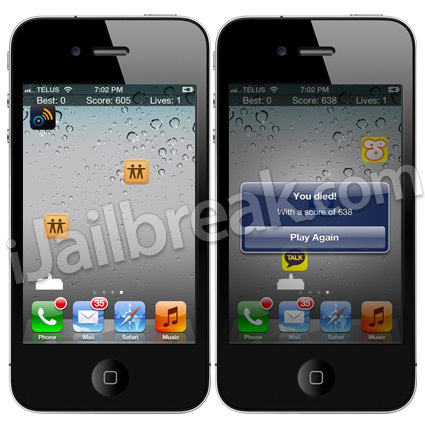 The SpringBoard Invaders Cydia tweak has been an extremely praised Cydia tweak in the Jailbreaking Community since its release for being unique and just an overall fun tweak to have installed on your iPhone, iPod Touch or iPad. What the SpringBoard Invaders Cydia tweak does is adds a new page to your SpringBoard (homescreen) that upon being swiped over to will allow you to play the classic game of Space Invaders. The twist to this tweak is that instead of the retro graphics you are used to in Space Invaders, SpringBoard Invaders will use your SpringBoard icons as both your bullets and falling enemies. Playing SpringBoard Invaders is very simple, as you have probably already guessed! You simply use your iOS device’s accelerometer to move, and tap the screen to actually shoot. You get 5 lives per game, and your high score will be recorded to compete with your friends. If you would like to pause the game you can simply swipe to an alternative page or launch another application. P.S. 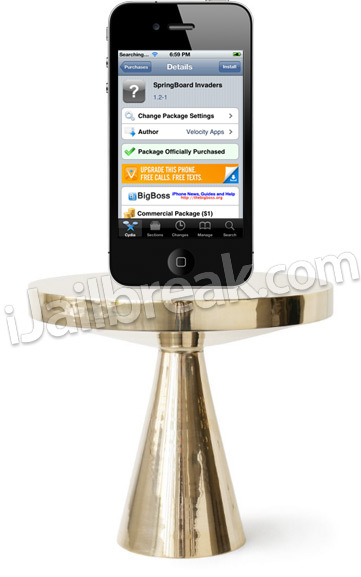 Please leave your suggestions for next weeks Old Is Gold Cydia tweak in the comments as well! i just downloaded it and its so fun! How To Get iTunes Radio Outside The U.S.